What's That Thing unveils the mystery of that hole on the tail of the airplane. What Is That Hole in the Tail of an Airplane? An Airbus A380 in flight. What’s That Thing is Slate’s column examining mysterious or overlooked objects in our visual landscape. Submit suggestions and pics for future columns to whatisthat@markvr.com. It’s a bird! It’s a plane! It’s … actually, it’s just a plane. But what’s that hole in the tail? A giant screw hole for towing the aircraft? An air conditioning intake? A rocket assist, à la Knight Rider, to be deployed on takeoff or to make up a few minutes of flight time en route? In fact, it’s part of what’s called an auxiliary power unit. 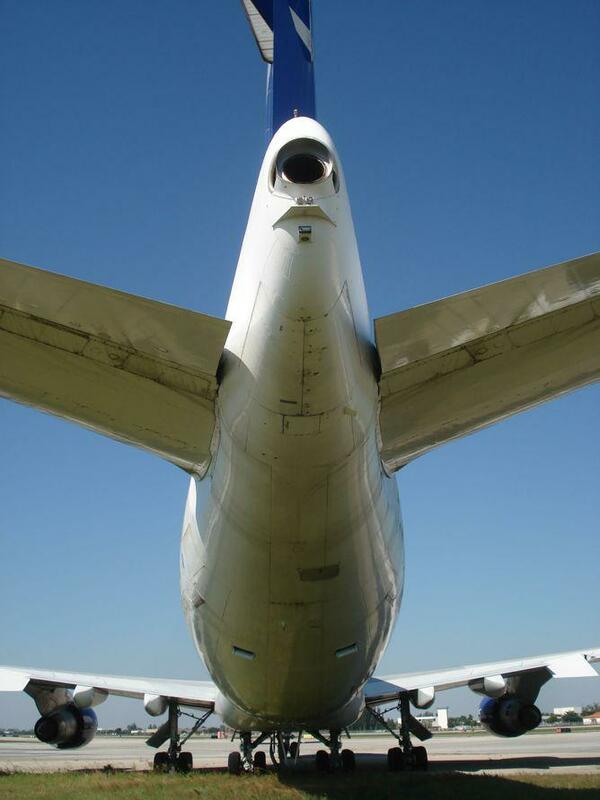 An airliner’s APU is a hidden extra engine, typically a gas turbine engine like jet engines themselves. But the APU doesn’t help the plane move. Rather, when an airplane is parked at the gate, pilots will use the APU to power onboard electric systems—from cabin lights and coffee makers to various cockpit systems—as well as to provide airflow to the air conditioning systems. Additionally, the APU is typically used to start the engines as the plane is pushed back from the gate. Once the engines are running, the APU is normally switched off, to be restarted only when the plane is on the ground at its destination. The tail of a Boeing 747-200. When it comes to cooling and lighting a parked plane, the APU is much more efficient than the main engines. 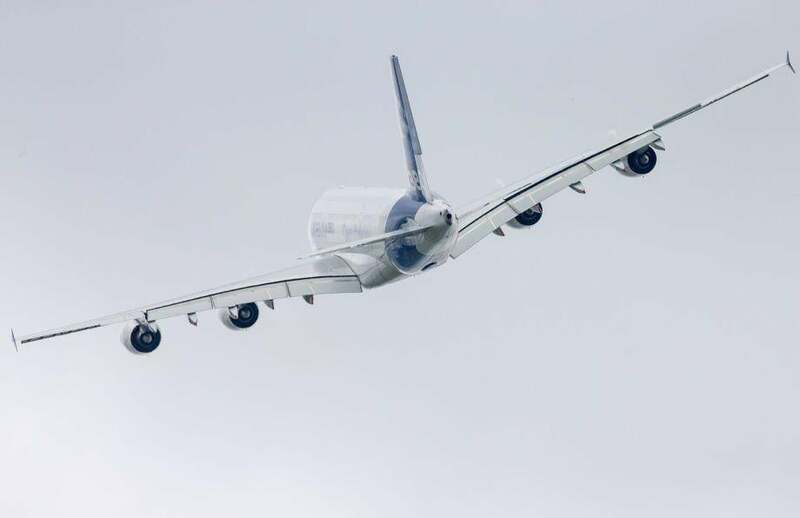 But it still uses fuel—indeed, the APU on a very large airliner may be as powerful as the main engines installed on a smaller aircraft—so it makes sense to use it as little as possible. At many airports, to reduce APU usage, a parked plane can use external power—essentially, the jet can be plugged into the airport’s own power supply. It’s easy to see the cables from the windows of the terminal—they generally attach to the plane somewhere near the nose wheel. When a parked plane receives electrical power from external sources this way, there’s no need for the APU to be running. Similarly, a plane can also receive external air conditioning. You might see one or more inflated tubes, often yellow, snaking into the belly of the jet (the external air conditioning units themselves may be located under the jet bridge). Those external sources of electricity and air need to be disconnected before the plane pushes back from the gate. From the cabin, just before departure, you may hear the APU starting, followed by an unmistakable whoosh of airflow as it takes over the air conditioning of the aircraft. On some aircraft you may also see the lights in the cabin briefly flicker. That’s the moment the pilots have switched the aircraft from the airport-based electricity supply to the aircraft-based APU. The ground staff can then detach the cables and air hoses from the aircraft’s belly. And then your jet is ready to roll. 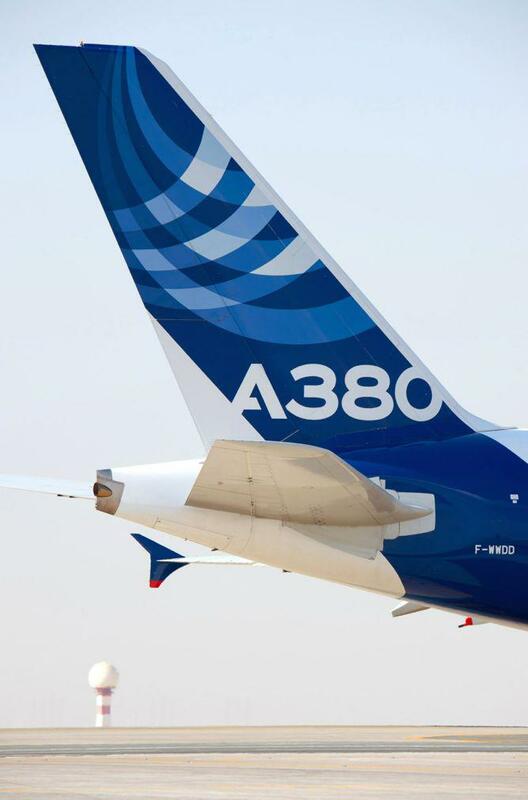 The tail of an Airbus A380. Once you park at your destination, the sooner the ground electricity is plugged in, the sooner the APU can be turned off, and the more fuel is saved. But if external power for an aircraft isn’t available at a certain gate or airport, then the APU will be left running for the entire time the plane is parked. If the plane isn’t due to fly again for some time, it may be depowered completely. The APU has another role in saving fuel. Many planes will taxi out to the runway before takeoff or to the gate after landing with an engine shut down. On a twin-engine jet the APU may be left running or started up for such occasions to provide a backup source of power. On many aircraft, especially twin-engine airliners, the APU can also provide backup power in flight. Bonus question: If the APU starts the main engines, then what starts the APU? Typically an aircraft’s batteries. Bonus detail: There’s often a whoosh of airflow from the APU just before departure, but then everything seems to go nearly silent again just after your flight starts to push back. You may think the APU has been shut down, but the APU is likely still running. Its airflow is being diverted from the air conditioning systems to help start the main engines. As the main engines are powered up, they take over the air conditioning and everything else, and the APU is typically shut down. See something out there that you’re curious about? Submit suggestions and pics for future columns to whatisthat@markvr.com.